THOUSANDS of people wounded or traumatised in the Troubles have lost essential support services as a result of government cuts, The Detail can reveal. The Victims and Survivors Service (VSS) confirmed it has written to more than 3,000 victims of violence warning that support is being reduced or deferred after budget cuts by Stormont. Today two bomb victims, one blinded in a blast and another who lost both her legs, tell The Detail how they must now choose which vital services they can afford and which they cannot. But the new restrictions on victims come as the entire infrastructure created to deal with the legacy of the Troubles in Northern Ireland is facing crisis, with the four key institutions now under unprecedented pressure. Jennifer McNern lost her legs in the IRA’s infamous Abercorn bombing in 1972 when an explosion in a packed city centre restaurant in Belfast killed two people and injured more than 100 others. She said: "For victims and survivors, especially those living with serious injuries, it is dealing with life as it is now. The victims’ service pledged that it is seeking additional funding and said it wished to reassure families that it planned to phase in additional services when resources are available. However, experts on the ground confirmed the scale of the impact on victims, at a time when the wider sector is under strain. In recent days it has emerged that investigations into murders from the Troubles by the police Historical Enquiries Team (HET) will end because of cuts. The Police Ombudsman’s office also said reduced budgets will hamper its probes into historic killings. This comes after a spate of resignations left the Victims’ Commission with no chief commissioner, while the Victims and Survivors Service has no chief executive and no chairperson. 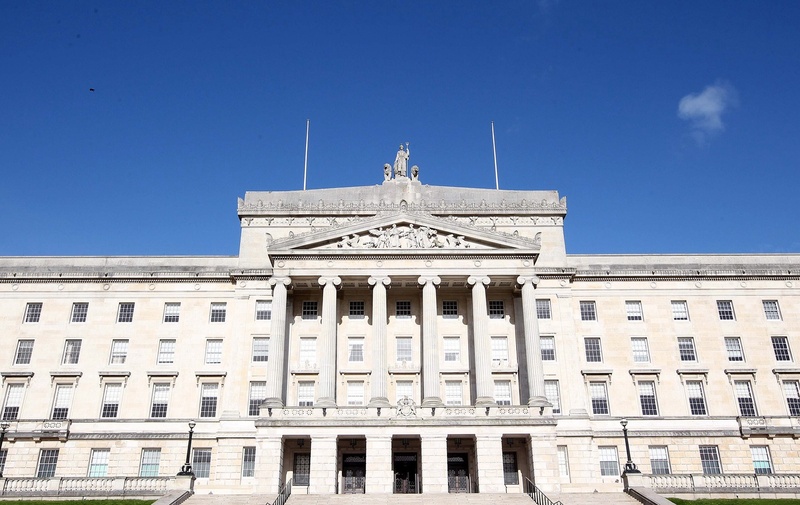 The crisis in the institutions dealing with the past is being widely blamed on the financial pressures that currently threaten to push Stormont’s budget into the red. But victims interviewed by the Detail have instead blamed the crisis on successive political decisions that they trace back to the beginning of the peace process in the 1990s. :: A leading victims’ group, the Wave trauma centre, confirms more people than ever are coming forward seeking help as a result of the Troubles, with a 34% rise in the last year. :: Children as young as seven are being supported by WAVE, as the impact of historic violence is said to have “passed to the next generation”. :: Experts insist legal obligations will ultimately force government to address victims’ needs, but families fear there are new barriers to establishing the truth or securing justice. The British and Irish governments have promised fresh political negotiations in Northern Ireland to support the peace process. But following the collapse of talks chaired last year by US diplomat Richard Haass, there is uncertainty over whether the question of dealing with the past will be addressed in a meaningful way. Jennifer McNern and Margaret Yeaman have become friends through the victims’ group Wave. Like others severely traumatised by the Troubles they have sought to continue with their lives, but they have received only sporadic help to cope with the horror that was visited upon them. After being effectively ignored for decades, victims saw their plight pushed to the fore after the 1998 Good Friday Agreement. But the ground-breaking Bloomfield report into coping with the past was largely ignored. A Memorial Fund provided some charitable assistance, but comprehensive schemes to deal with legacy issues that were drawn-up by the subsequent Eames-Bradley report and the ill-fated Haass talks were effectively dropped. Each temporary rise of interest in victims’ issues brought back painful memories and raised hopes. The Victims and Survivors Service was created in 2012 by Stormont’s Office of the First Minister and deputy First Minister (OFMDFM). “There were great problems when the service opened up,” said Jennifer. "People who were physically injured went through a very high level assessment process, a very intrusive process. Six months after her care was put in place, she said she received a letter to say it was being cut. Jennifer said her sister Rosaleen, who lost her legs and an arm in the Abercorn attack, cannot get the new electric wheelchair she needs. “There is no money for her chair. The chair could go up into cupboards and, as I say, she has only got one hand. Margaret, blinded in an IRA bomb in 1982 in Banbridge Co Down, said she was robbed of the chance of watching her four children grow up. She never got to see her grandchildren and has to ask relatives to describe how they look. Her body is still riddled with shards of glass which, even decades later, continue to work their way to the surface of her skin. Nightmares make it difficult to sleep and she has injured herself ‘running out of bed’ as she subconsciously relives the moment of the blast. “We had to go down to the VSS to be assessed,” she said. She got help with housework, audio recordings of the latest magazines, and massage sessions to ease her pain. The massages also helped remove the glass. Now she will have to choose which services she can afford. She said she feels wider society has lost focus on the needs of victims. Oliver Wilkinson, Interim Chair of the Board of the Victims and Survivors Service, said: "The financial pressures currently facing the Northern Ireland Executive have had an impact on our budget at VSS, the detail of which was communicated to us by the Department for OFMDFM at the end of July. It is understood the VSS issued letters to more than 3,000 people to advise that support was being reduced. Mr Wilkinson said the VSS and OFMDFM have applied for further funding in Stormont’s next review of its finances, the October monitoring round. Additional funding could allow “more extensive” services. The chief executive of Wave, Sandra Peake, said the decades of failed attempts to comprehensively address the needs of victims has caused great difficulties. “There has been great uncertainty for victims and survivors, many of whom are extremely vulnerable,” she said. She said referrals to her group by individuals seeking counselling and other services is on the rise, with a 34% increase in the last year. New people are coming forward in areas across Northern Ireland. But cuts make it difficult to maintain continuity or to plan support for individuals. This rising trend works against the theory that the troubled past will fade away. Especially since data shows that young people are also being affected by the past. Damien McNally was an infant when his father Paul was shot dead in a random sectarian gun attack by loyalists outside a bookmakers in north Belfast’s Ardoyne area in 1976. His family struggled under the burden of the loss. Life was particularly difficult for Damien’s mother, as she cared for a young family. As her husband lay dying in hospital, relatives said he was “panicking”, gripped by concern for the loved ones he feared leaving behind. It was 26 years later, when Damien realised he had outlived his father, that his personal trauma became heightened. He has now researched the experience of how violence can send shockwaves through the generations. A lack of evidence prevented anyone being convicted for the loyalist murder of his father. His family know some of what went on, but not all. The decision of police to collapse the HET under budget pressures means the family wonder if they and many others will get the answers they seek. Drawing on his research, he said: "For the injured, the bereaved, for others like the families of the Disappeared, this kind of suffering is still going on.